We could never have achieved that kind of control with a packaged solution. The Federated Group, based in Mississauga, Ontario, Canada, provides a complete range of customs and logistics services across North America and around the world. Federated used the Visual LANSA Framework to deliver a Client Management System (CMS) that integrates directly with existing System i backend systems. The Windows rich-client system is distributed to hundreds of users in over 50 locations using LANSA Just-in-Time deployment. LANSA Client is used for reporting and analysis over operational files and the data warehouse. 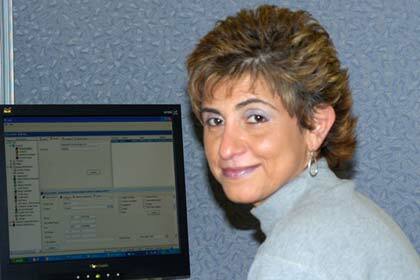 Nancy Riddell, IT director at the Federated Group, says, "Using LANSA triggers to update the existing databases saved us from having to customize over 400 programs and let us continue to use the existing customs, accounts receivable and freight systems without major modification. With this approach we can modernize and redevelop these systems at our own pace, with minimal disruption to the business." We can modernize and redevelop our systems, at our own pace, with minimal disruption to the business. Nancy Riddell, IT director at the Federated Group. The Federated Group is an integrated group of customs brokers and logistics providers, owned by twenty shareholders. As well as providing brokerage services, Federated is also an IT provider for thirteen other companies. Federated started using an IBM System/3 25 years ago and has since evolved to the System i. The company's in-house developed customs, freight forwarding and accounts receivable RPG systems, used by 500 users in over 50 locations, needed replacement as they had started to fall behind the user's requirements and were hard to maintain. But before embarking on a redevelopment project, Federated decided to first take inventory of the way these systems used and stored client information. "Client information was maintained in the several areas and had to be entered multiple times," says Riddell. "We wanted to centralize client information, so that it could be shared by the customs, freight and accounts receivable divisions." "Most importantly, we wanted the CMS solution to update client information in our existing systems directly. But we did not want to change the existing file structures, because it would affect over 400 programs in the backend systems." "We briefly investigated buying a packaged CMS /CRM (Client Management System/ Client Relation Management) solution, but from past experience we knew that a packaged solution was not going to meet all the shareholders needs. We needed a solution that we could control ourselves." "We already knew about LANSA and had several meetings with them to discuss the best way forward. We decided that LANSA's productive framework approach would also provide guidance for our RPG programmers who were new to Windows development." The framework approach provides guidance for our programmers who were new to Windows development. Federated sent its developers for LANSA training and brought in a LANSA Services consultant for onsite mentoring. A committee was set up with key users from the shareholders. It took Riddell and her team six months to complete the requirement analysis and system design. "Even though all stakeholders are in the same industry, they all have different requirements. We used LANSA's prototyping tool extensively to help refine the system design, which was reviewed in weekly meetings." "The user committee preferred a LANSA Windows rich-client user interface to a browser interface. With 500 users at over 50 locations, a zero-install browser interface might have been easier to support, but by using LANSA's Just-in-Time (JIT) deployment we could automate program distribution and deployment, all the way to the user's PC." After the user committee approved the design, development took another six months with a team of four. The CMS allows for central management of all client data, which can be quite massive, because as a customs broker Federated needs records about all the vendors its clients deal with and all the products being imported or exported. While areas of the old backend systems were limited in the number of client and contact addresses stored, the new central CMS can handle unlimited invoice, contact and delivery addresses. The data that is relevant to the backend customs, freight and accounts receivable systems, such as customs classification codes, rates and address information, is automatically updated by the CMS using LANSA trigger functions. Riddell explains that, as the backend systems will eventually be replaced, large portions of backend functionality have already been moved into the CMS. So redevelopment of those systems should be easier. The CMS gives a complete impression of the account status, including historical statistics and an up-to-date customs and billing summary overview. In addition to storing operational information, the CMS also allows the capture of prospect and client profiling information, such as free format notes, company revenue, employee numbers, industry, regional business activities and branch locations. "Managers now get a quick and complete overview of an account from a single screen." says Riddell. "The CMS is becoming the central portal for all backend systems." The CMS is becoming the central portal for all backend systems. "The biggest advantage of the CMS is that it serves as a centralized repository of client information," says Riddell. "Our users don't have to jump from system to system and screen to screen to maintain information or enquire on a client." "Client information in all backend systems is now consistent and up-to-date, because the CMS is tightly integrated with our customs, freight and accounts receivable systems. LANSA's tight integration with the existing systems allowed Federated to continue to use the systems without major modification," says Riddell. "We could never have achieved that kind of control with a packaged solution. We would have had to replace all systems simultaneously, an expensive and high risk approach." "For people who are already familiar with PCs and Windows, there was no learning curve whatsoever to get productive with the new CMS." The CMS has its own built-in security, allowing division managers to set up new users, with varying degrees of authority. "Our technical services team used to get involved all the time, now managers are empowered to set up staff access on their own, saving time on both sides," says Riddell. Federated has also empowered the business users by giving them the LANSA Client and Crystal Reports bundle for query and reporting. "Many user requirements are for reporting and statistical overviews. Now they can do their own reporting. The rollout was easy. One IT resource did the LANSA Client training and trained the users. Now we have at least 30 people producing their own reports and queries. Users just love it." LANSA Client is used to query both the operational systems and Federated's data warehouse that contains statistical summaries. "All we have to do is make the files known to the LANSA Repository and the users create their reports," says Riddell. Laurel Marshall, operations manager at Thompson, Ahern & Co. Limited, a Federated shareholder who was on the CMS design user committee, says, "The information in the CMS is very important to us, because we need to be able to track related business plans." "I am now able to draw out a lot more information than before. I can analyze clients to see if volumes are up or down. I can analyze regions and investigate whether we can develop new business there, do comparative research between this and last year and so on. The information helps us in developing business plans. The more you know about a client, the better the relationship can be with them. The information also helps us when negotiating contracts and pricing," says Marshall. "LANSA was the easiest route for our first Windows project," says Riddell. "We specifically like the LANSA Repository and reusable components. You develop something once and reuse it in different areas of the application. Even business users can access Repository-defined descriptions, formulas and help text in their queries and reports. Nothing needs to be defined or developed more than once. With RPG we often had to repeat the same code." Currently clients have web access to the System i backend systems using Net.Data applications that offer shipment tracking, inquiries, customs forms and imaged documents. Federated plans to replace Net.Data with a LANSA-based client portal that provides greater functionality. "We can improve client service by giving real-time access to customs, shipping and billing data. Clients should be able to view and maintain their own products and other data. There is also a wealth of reports that we want to make available online for the clients," concludes Riddell. LANSA was the easiest route for our first Windows project. The Federated Group, headquartered in Mississauga, Ontario, Canada and incorporated in 1953, provides cross-border and global logistic solutions, including customs brokerage, freight forwarding, air, ocean & ground transportation, warehousing, distribution, customs consulting and information technology services. Federated has offices in Mississauga, Toronto, Hamilton, Montreal, Vancouver and the major gateways of Niagara Falls, Fort Erie, Sarnia and Windsor. The U.S. operations are based out of Buffalo, New York. Federated uses an IBM System i model 520 as a main processor and a model 550 for the deployment of web applications. Shareholders and their branches have direct connections to the System i in Mississauga. The Visual LANSA-based Windows programs are automatically distributed using LANSA Just-in-Time deployment. Federated's development team consists of two developers. The support team consists of four technical service analysts, one EDI specialist and one person handling all the user training.